Anyone with an Internet connection and a keyboard can start an online business today in five minutes, with zero investment. But while the entry barrier of starting an online business is virtually nonexistent, the barriers to growth and success are significantly higher. 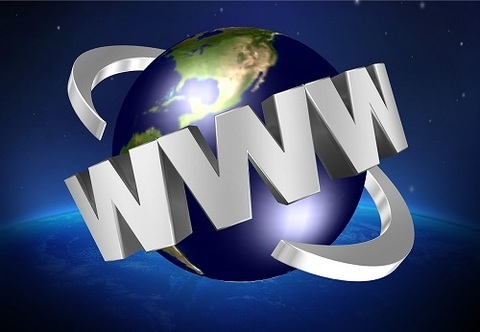 According to InternetLiveStats, there are more than one billion websites and blogs in the world online. The same page also notes that around 75% of websites are not active, but are parked or similar. Even so, there is still an incredibly huge amount of money flowing around on the net that comes under e-commerce. The ecommerce industry is dominating the world today through B2B and B2C online transactions. The Asia Pacific region is leading the way, with Indian retail e-commerce alone growing rapidly from $2.3 billion to $17.5 billion over the last four years. So if you want a healthy slice of this large eCommerce pie, you need to do a bit of groundwork and preparation before you spend that five minutes starting a new online business. We have made it easy for you by creating a 10-step tutorial that you can follow step by step on your way to becoming an online entrepreneur. First you need to choose what kind of online business you want to start. It may be your own online eCommerce gift shop, clothing store, toy shop, discount offers, affiliate products, or any other online store. Identify popular market trends and select a business that you have an interest in. Know your business well, and you should at least be satisfied with why you are doing it and what kind of customer need you aim to fulfill with this business. This is what is referred to as your ‘Business Vision’ (see examples) and a ‘Mission Statement’ (see examples). Before you start an online business, it’s important that you know the market trends, your competitors and your target customers. Do a comprehensive competitor analysis by visiting your competitors’ websites and stores, buying their products and using them. Make use of tools like SEOProfiler, Moz and Seobook for competitor analysis. The idea is to find out how your competitors run, how they maintain their online businesses, what are their pricing strategies, how they market their products/services, who are their target customers, and what keywords they focus on to attract website traffic. Based on all this research, you will have to come up with your own business strategies to compete with them. This is that 5-minute part where you actually get an online presence. Buy a good domain name for your website from GoDaddy, Namecheap or Dotster.com. Host your website with web hosting service providers like GoDaddy, HostGator or BigRock. Then create your website using popular website building platforms and CMS (content management systems) like WordPress, Joomla, Ruby on Rails, Drupal, etc. Customise the settings, select a good template or two with a professional design and graphics, and you have now started an online business. Create social media accounts for your new business on Facebook, Twitter, Google+, LinkedIn, Youtube, Tumblr, Pinterest, Instagram and other social networks. Social media marketing will not only attract visitors to your website, but also spread brand awareness among your customers. Apart from this, you need to come up with digital marketing strategies for search engine optimization, content marketing, display banner advertising and email marketing that will help advertise your products and services to a targeted audience. Also target mobile users by creating a mobile app for a mobile-friendly website, and target smartphone users through PPC ads. Referral marketing is where you get referrals to new customers from your existing customers and others who know you and/or your business. Businesses like restaurants, retail stores, hotels, banks, gyms, health clubs, travel agencies, etc. typically use this strategy. Whatever else you do is a waste of time if you are unable to earn money from your website. Converting website visitors into leads and online sales is not so easy, though. First of all, you have to decide on a monetization model. You may sell your own products/services or you may be a third-party marketer or affiliate sending your visitors to a sponsor’s site or you may have an eCommerce store that promotes and sells products from many different companies and sellers. For example, you can easily open an online store on platforms such as Shopify, eBay, Yahoo Stores, etc. Create a subscription-based model under which you are able to generate recurring sales from the same customers. Also accept ads from advertisers and place them on your website through ad networks such as Google Adsense and others that will pay you per click. A simple way to retain customers is to engage them through email newsletters. This is a powerful communication and a marketing tool that provides substantial benefits in many different ways. Stay in touch with customers and also pitch new products and updates that increases sales to existing customers. Retargeting or Remarketing is the other way of online marketing technique that helps you to re-advertise your product or brand for your customers after they leave your website. Retargeting is designed for helping companies to reach the remaining 97-98% of your website visitors, since only 2-3% of website traffic converts into paying customers in the initial visit. Hire freelancers to do your work for you. Build, market and promote your website with content and other digital marketing ideas using freelancers. oDesk and Elance are the best online marketplaces for hiring freelancers who work at low costs and can deliver more work. Register your business name in your city and state. Choose the right business structure, get a shop establishment license and/or find out how to register a company in your state. Get additional licenses and permits, depending on your industry and size. For example, online businesses that want to list their products on Flipkart, Snapdeal, Amazon and other online retail sites will need to register for VAT and get a TIN no. (see how to get a TIN Number). Lastly, protect your business name, intellectual property and proprietary technologies by applying for trademarks. They can also use companies like dragon law for legal requirements like employee contracts, agreements etc. to avoid expensive lawyers fees. 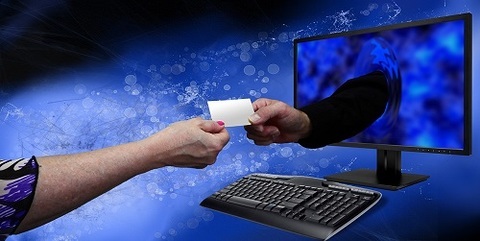 You have to offer a variety of payment options to enable your customers to pay you online. Get a merchant account from credit card processors such as CardService International or World Play, and directly start accepting credit cards online. Also sign up with Paypal, Google Checkout and other online payment systems, and add these alongside the cards as additional payment options. You don’t have to worry about implementation, because every major content platform already has payment plugins that you can make use of. It’s easier still for eCommerce shops on eBay, Shopify and other retail sites that ready-to-use integrated payment systems. Simply add in your user names and the relevant payment system will be enabled on your shop. There are several courier companies who provide shipping services for popular brands like Snapdeal, Jabong, Flipkart, Junglee, Amazon and more. These companies have chosen their shipping and logistics services depending upon their capital investment, business volume, margin and other factors. Some of the online shipping and logistics service providers in India that can help startups are Parcelled, Shine Cargo, eCourierz, Packr and Trukky.